Roberto Rossellini’s post-war portrait of life under the Nazi occupation is often named as one of the greatest films ever made. 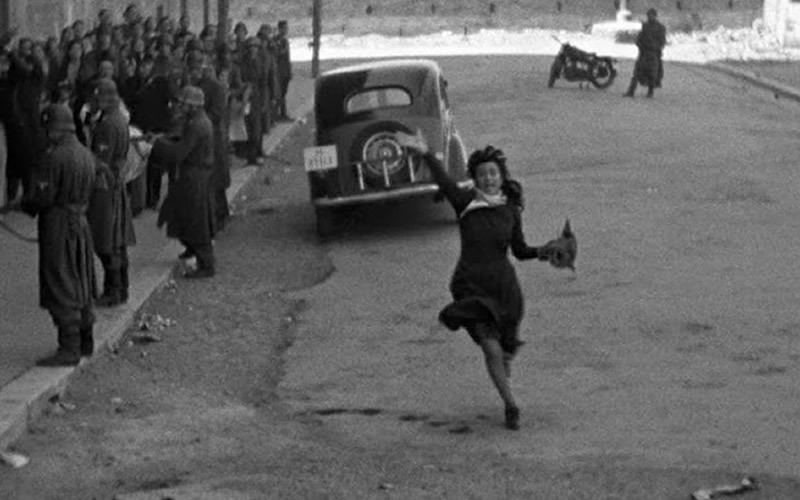 Immediate, tense and powerful, Rome, Open City is a landmark of Italian neorealism, made in extraordinarily difficult circumstances in the immediate aftermath of the liberation of Rome. The film follows partisan leader Manfredi (Marcello Pagliero) as he attempts to evade the Gestapo by enlisting the help of Pina (Anna Magnani), fiancée of a fellow member of the underground resistance, and priest Don Pietro (Aldo Fabrizi). Shot partly on the ravaged streets of the city, Rome, Open City blends the immediacy of documentary with high drama and affectingly naturalistic performances.